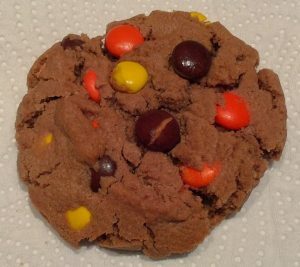 Chocolate to Pieces Cookies bring the popular combination of chocolate and peanut butter to a fun new level! Chocolate to Pieces is a chocolate based cookie with natural peanut butter and reeses pieces® candy. Made with real butter and house made vanilla extract.